The only open question is whether Governor Bill Haslam, a Republican, will lend his support to the lawsuit. Under Tennessee law, the Tennessee General Assembly can bring the lawsuit without the governor’s support. Unlike bills, resolutions do not require the governor’s signatures to go into effect. While Haslam has previously indicated he has concerns about the resolution and proposed lawsuit, by joining the Tennessee General Assembly as a plaintiff he could entirely remove the possibility that the federal courts would reject the complaint on the grounds of standing. State Senator Mark Norris (R-Collierville), the sponsor of the resolution in the Senate, is rallying public support to encourage the state’s Attorney General to accept the resolution’s request that the he consider filing the lawsuit. Should the Attorney General choose not to do so, the Thomas More Law Center, is ready to step in. “We’ve asked the Attorney General to file suit, but in the event he decides not to, Senate Joint Resolution 467 provides that the [Tennessee] General Assembly can retain the legal services of outside counsel . In this case, we have the Thomas More Law Center, which, as early as last December, stepped forward and offered to represent the state of Tennessee in this important cause free of charge,” Norris says. “They are standing ready to step into the shoes of the Attorney General and do the important work that needs to be done in the event the Attorney General decides not to,” Norris adds. “The petition is designed to demonstrate to the Attorney General how important this resolution is to so many people here in Tennessee,” Norris says. To date, the petition has been signed by more than 8,000 Tennesseans. On Tuesday evening, Norris hosted a conference call, moderated by Breitbart News, in which some 1,700 concerned Tennesseans participated. After the crisis in Syria, refugees began flooding into Europe, and the Obama administration promised to take an additional ten thousand refugees or more [from Syria into the United States]. We were promised that the vetting process for these refugees would take 18 to 24 months. This was to prove how thorough the process was, and how safe Americans would be. Since then, several high ranking officials have cast doubt on the screening process. Secretary of Homeland Security Jeh Johnson, NATO General Philip Breedlove, and David Shedd, the former director of the Defense Intelligence Agency, have all called into question the screening process. Since the start of the Syrian crisis, an estimated 2,300 Syrian refugees have entered the United States through the refugee resettlement program. 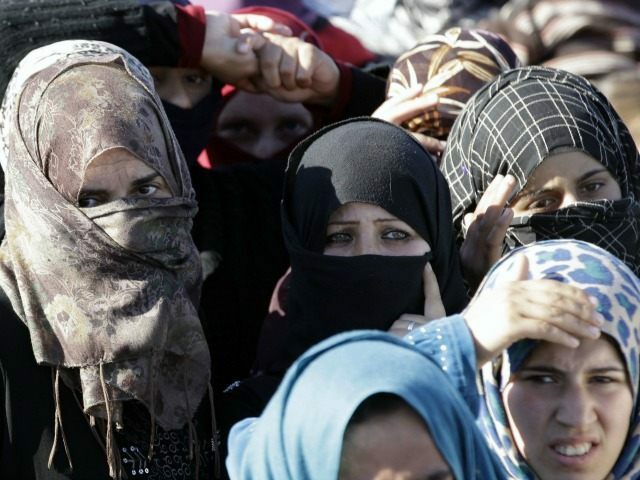 More than 96 percent of these refugees have been Muslim. Less than 2 percent have been Christian. Halfway through the current fiscal year, the Obama administration has brought in 1,282 Syrian refugees, more than 7,700 short of its goal of 10,000 for the full fiscal year. In Tennessee, which accepted about 1,600 refugees under the refugee resettlement program in 2015, 30 of whom were Syrian, the number of Syrian refugees admitted stands at 17 so far in 2016. That number is likely to increase to around 200 by September if the Obama administration’s accelerated vetting continues. Canada’s newly elected Prime Minister, Justin Trudeau, accelerated the number of Syrian refugees in Canada, bringing in an astonishing 25,000 during his first four months in office. Prior to the younger Trudeau’s administration, concern over the security of the 2,000 mile border separating the United States and Canada have been virtually non-existent. With the influx of poorly vetted Syrian refugees to our northern neighbor, that concern is likely to heighten dramatically. Reports abound showing that the huge number of Syrian and other Muslim refugees who have overwhelmed Europe in the past year are filled with ISIS supporters and sympathizers. The United Kingdom’s Independent estimates that as many as one out of every fifty Syrian refugees who have recently entered Europe could be an Islamist jihadist. The Tennesseans who participated in Senator Norris’s conference call on Tuesday were not shy about expressing their concerns that some of the Syrian refugees being forced into their state by the Obama administration could pose a threat to their personal security. One caller, John from Chattanooga, told Norris that the vetting standards for Syrian refugees entering the United States is dramatically lower than the vetting he has undergone to become a Department of Energy vendor at a local facility in Tennessee. “I have a clearance for DOE. Just to get a clearance to go fill the vending machines, it takes eighteen months to vet somebody,” John said. “That’s when you’re born in the United States, you’re a U.S. citizen, you haven’t had any problems,” he added. “How in the world do they think they’re going to vet these people [the Syrian refugees]?” he asked. “I know they’re not going in to a DOE facility, but you look at the scrutiny, and they’re not doing anything,” he noted. Another caller wanted to know about the status of lawsuits brought by other states against the federal government over its operation of the refugee resettlement program. “None of those states have stood on their rights under the Tenth Amendment,” Norris told caller Gary Buchanan, who inquired about the status of refugee resettlement lawsuits brought against the federal government by Alabama and Texas. They’ve shifted the cost of the program since we withdrew in 2007 back to the state. Under some recent Supreme Court rulings in the United States, we think that we have a right to insist that we not be coerced or compelled to participate financially in those programs from which we’ve withdrawn without the Tennessee General Assembly’s specific approval. . . There are a total of twelve states, like Tennessee, which withdrew from the refugee resettlement program. There are twelve of us who could step up together to enforce our rights under the U.S. Constitution, under the Tenth Amendment. We’re the first. I hope we will set the pace and set the trend so we can light those brush fires …and show that we do have rights that can be enforced against the federal government. As Breitbart News reported previously, the refugee resettlement program in the twelve “Wilson-Fish alternative program” states who have withdrawn from the program is administered by voluntary agencies. Those agencies, like Catholic Charities in Tennessee, are empowered by regulations developed within the Department of Health and Human Services to circumvent limitations in the law, rather than statutory authority found in laws passed by the Congress and signed by the President. State Rep. Weaver, the sponsor of Senate Joint Resolution 467 in the House, summed up the importance of the state of Tennessee’s pending Tenth Amendment litigation against the federal government. “Do we have standing on our Tenth Amendment, or not? This vehicle, SJR 467, a declaratory judgment, will give us our answer,” she concludes.